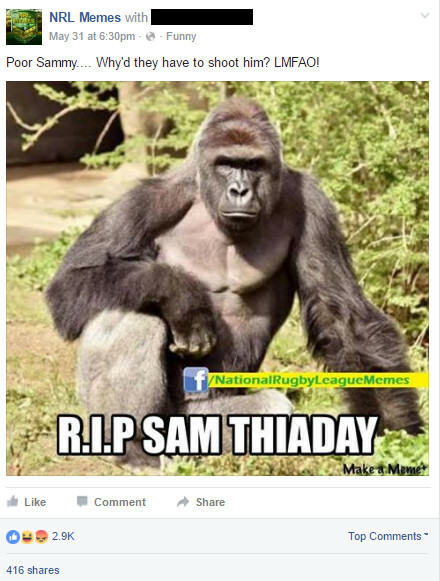 On May 31st the NRL Memes page (ID: 349532781801156) which has 196,542 supporters posted a meme using a picture of a gorilla with the message R.I.P. Sam Thaiday. The Gorilla is Harambe from Cincinnati Zoo, who had just been shot and killed by the Zoo as part of an effort to rescue a child who fell into the enclosure. Sam Thaiday is an Indigenous Australian who plays for the Brisbane Broncos. The meme is blatantly racist. This meme was liked by 2883 people, a further 164 people thought it was funny, and 90 people were angry about it. It was shared 416 times. The meme appears to have inspired similar racist memes targeting Adam Goodes which have since been removed. This earlier meme, however, remains online. Please help us urge Facebook and the page admins to remove it by reporting it. It is disappointing that the NRL Memes page did not receive the same strong counter speech opposing the racism of this meme which we saw on the AFL Memes page. Like the AFL the NRL is a supporter of the National Anti-Racism Campaign also known as “Racism. It Stops with me.” The message opposing racism is clearly not getting through to fans. The Online Hate Prevention Institute urges Facebook to remove this racist meme. We also urge the NRL to speak up against the spreading of racist memes in general, and particularly where the memes are associated with the NRL itself. After reporting the post, please share this briefing using the bottom below. As a charity we can only meet our costs and continue to operate so long as there are donations to support our work. 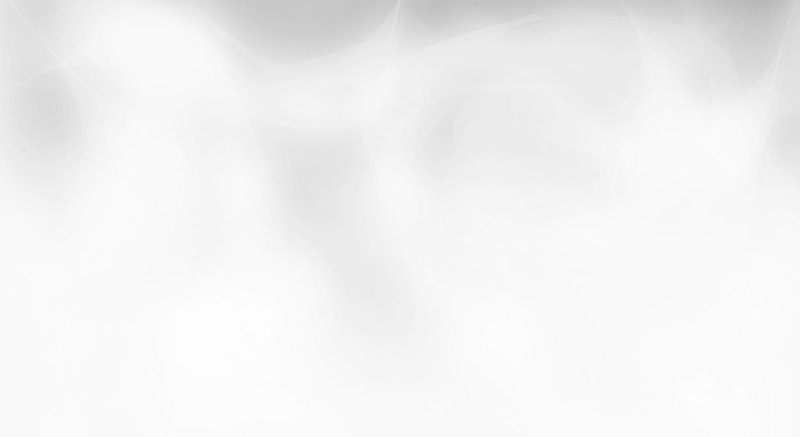 Funds are critically low right now so any help would be greatly appreciated. A link you can use to donate to OHPI to support our work tackling all forms of online hate is below.